Staff Writer Alex Wong breaks down the key matchups for each Empire 8 Tournament game. The Ithaca College women’s soccer team halted the Misericordia University Cougars nine game winning streak with a 2–1 win Oct. The women’s soccer team defeated St. John Fisher College by a final score of 2–0 on Oct. 17 at Carp Wood Field. The women’s soccer team defeated SUNY Oneonta by a score of 1–0 for its ninth win of the season. 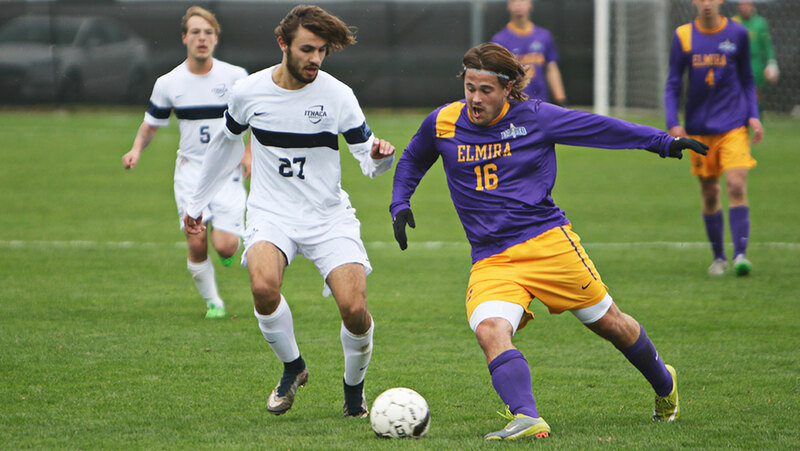 The men’s soccer team took its third straight loss of the season to Hamilton College on Oct. The women’s soccer team, coming off a 110-minute battle that ended in a tie against Stevens Institute of Technology, would take its following matchup versus Houghton College on Oct. The men’s soccer team fell to Hobart College 3–0 Sept. 29 on a rainy afternoon at Carp Wood Field, dropping to 2–5–1 overall.